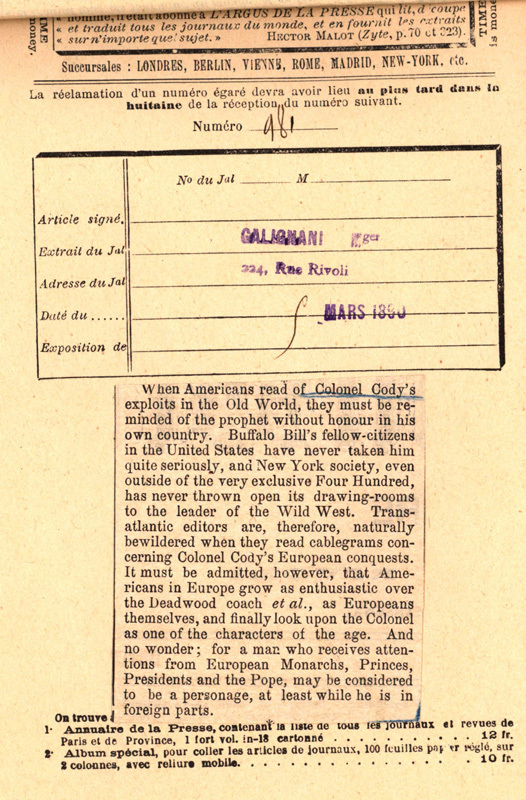 When Americans read of Colonel Cody's exploits in the Old World, they must be reminded of the prophet without honour in his own country. Buffalo Bill's fellow-citizens in the United States have never taken him quite seriously, and New York society, even outside of the very exclusive Four Hundred, has never thrown open its drawing-rooms to the leader of the Wild West. Trans-atlantic editors are, therefore, naturally bewildered when they read cablegrams concerning Colonel Cody's European conquests. 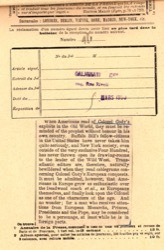 It must be admitted, however, that Americans in Europe grow as enthusiastic over the Deadwood coach et al., as Europeans themselves, and finally look upon the Colonel as one of the characters of the age. And no wonder; for a man who receives attentions from European Monarchs, Princes, Presidents and the Pope, may be considered to be a personage, at least while he is in foreign parts.